2053, Used Rims, 14x5-1/2, 5 LUG, 100MM, 99-02, DODGE, NEON, BLACK STEEL 10 HOLE. 2142, Used Rims, 15x6, 5 LUG, 100MM, 01-'06, CHRYSLER, DODGE, SEBRING, STRATUS, BLACK STEEL, 10 OVAL HOLES. 2142, Used Rims, 15x6, 5 LUG, 100MM, 01-'06, Chrysler, Dodge, Sebring, Stratus, BLACK STEEL WITH 10 OVAL HOLES. 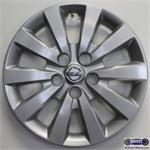 2150, Used Rims, 15X6-1/2, 5 LUG, 114mm, 01-07, DODGE, CARAVAN, TOWN & COUNTRY, VOYAGER, 10 ROUND HOLES, BLACK STEEL. 2314, Used Rims, 17X7-1/2, 5 LUG, 5-1/2", '04-'11, DODGE, ASPEN, DAKOTA, DURANGO, (SPARE), 10 HOLE, BLACK STEEL. 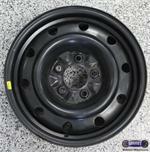 3074b, Used Rims, 14X6, 5 LUG, 4-1/2", 95, FORD, RANGER, 10 SMALL HOLES, 10 OVALS, ALLOY. 3136, Used Rims, 15X7-1/2, 5 LUG, 5-1/2", 94-96, FORD, BRONCO, F150, 10 HOLE, WITHOUT RIVETS, ALLOY. 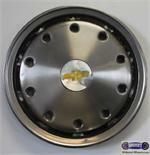 3174a, Hubcap used, 15", 89-92, CHEVY, 1500 PICKUP, SUBURBAN 1500, SUBURBAN 2500, MACHINED, 10 HOLE TYPE, GOLD BOWTIE LOGO, METAL CLIPS. 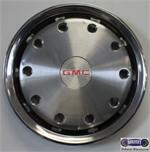 3174b, Hubcap used, 15", 88-92, GMC, 1500 PICKUP, SUBURBAN 1500, SUBURBAN 2500, MACHINED, 10 HOLE TYPE, RED GMC LOGO. METAL CLIPS. 3182, Hubcaps used, 15", 89-91, GMC, CHEVY, BLAZER FULL SIZE, JIMMY FULL SIZE3, SUBURBAN 1500 4X4, SUBURBAN 2500 4X4, MACHINED,10 HOLE TYPE, OPEN CENTER, FRONT. METAL CLIPS. 3209, USED RIM, 15X6, 4 LUG, 4-1/4", 95-00, FORD, CONTOUR, MERC, MYSTIQUE, STEEL, 10 HOLE. 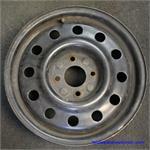 3215b, Hubcap used, 16", 93-94, GMC, 1500 PICKUP, 2500 PICKUP, 3500 PICKUP, VAN, SUBUICKUP, VAN, SUBURBAN 1500, SUBURBAN 2500, 10 HOLE TYPE, GMC LOGO. 3215b, Hubcap used, 16", 93-94, GMC, 1500 PICKUP, 2500 PICKUP, 3500 PICKUP, VAN, SUBURBAN 1500, SUBURBAN 2500, MACHINED, 10 HOLE TYPE, BLACK CENTER WITH GMC LOGO. METAL CLIPS. 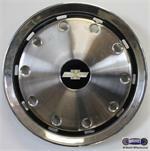 5101, HUBCAP USED, 15", 91-93, PONTIAC, GRAND PRIX, SPARKLE SILVER, ENGRAVED LOGO, WORD PONTIAC ON OUTER EDGE, 10 HOLE TYPE.